Professor Droussiotis is a former Managing Director, General Manager and the Head of the Leverage Finance, Private Equity Sponsor Group & Structured Finance Department at Sumitomo Mitsui Banking Corporation managing a loan portfolio of over $8 billion of large cap and middle market leveraged loans, as well as investments in SPV funds, CLOs and BDCs that are backed by leveraged loans and high yield bonds. Just last April 2018, Professor Droussiotis left SMBC and join as a Senior Managing Partner of Kinisis Ventures Limited (www.kinisisventures.com), a business accelerator company that helps international company start-ups expand in the U.S. markets. He is also currenlty writing a text book "The Analytical Approach to Finance, Investments and Credit" - scheduled to be published in the summer of 2019 - Cognella Academic Publications (www.cognella.com). Adjunct Professor for Columbia University's School of Professional Studies, Fordham University's Gabelli School of Business, Baruch College's Economics & Finance Department in NY, Baruch College's Continuing and Professional Studies (CAPS), Stillman School of Business at Seton Hall and Fairleigh Dickinson University's International School of Hospitality and Tourism Managment in NJ. Courses include Quantitative Analysis in Business, Investment Analysis, Managerial Finance, Commercial Credit $ Banking, Debt & Fixed Income Markets, Derivative Strategies, Business Statistics , Equity Valuation and Advanced New Venture Management. Professor Droussiotis has also given lectures on various subjects including Leveraged Buyouts, Credit Markets, Loan Syndications, Capital Markets at Baruch College, Bank of China, Cendant Corporation, China Construction Bank, Wyndham Worlwide, Travelport and the Industrial Bank of Japan, etc. 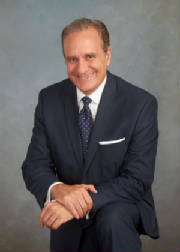 Leveraged Finance, Loan Syndication and Private Placements, Quantitative Analysis including Portfolio Risk, Financial Modeling, Credit Analysis, Equity Return Analysis and CLOs.Professor Droussiotis is a member of various associations such as Helenic American Bankers Association (HABA) and the Mathematical Association of America (MAA).